An exciting dance reimagining of Charles Dickens' Oliver Twist is coming to Birmingham in a major UK tour by innovative hip hop and contemporary dance company Avant Garde. 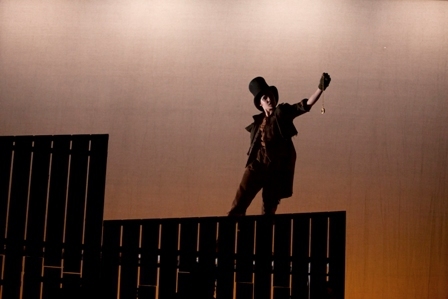 Fagin's Twist will be performed at The Patrick Centre in Birmingham Hippodrome for two nights from October 20 to 21. Avant Garde Dance Company, led by Artistic Director Tony Adigun, has taken the classic piece of literature as its starting point and developed the plot around an evocative story of Fagin's youth. Audiences will see who Fagin becomes corrupted by greed and worn down by poverty. 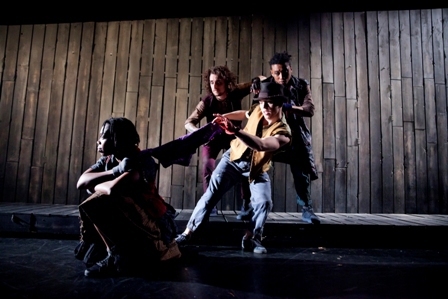 Fagin's Twist features five of the familiar Oliver Twist characters: Oliver; Fagin; Bill Sykes; Nancy and the Artful Dodger; but reimagines the paths of their lives and their individual circumstances. Some offer us rare glimpses of human pathos, whilst others are seen in a darker, more mysterious light. Dickens wrote the novel as a commentary on child poverty and social injustice so Adigun has added his own twist to create a poignant, coming-of-age dance drama which draws parallels between Victorian London and modern society. For the production, the company has worked with dramatist Adam Peck and writer Maxwell Golden to add subtle layers of texture and precision. There is an eclectic score that is made up of music meticulously selected by Tony Adigun, with sound design by Brian Hargreaves. It includes original compositions by Benji Bower and Seymour Milton and tracks by underground artists including Mika Vainio and Tisme. Tony Adigun said: "I have always been excited by the idea of retelling a popular tale. I wanted to add a mischievous twist that would play with, and challenge audiences' perspectives of a much loved classic." 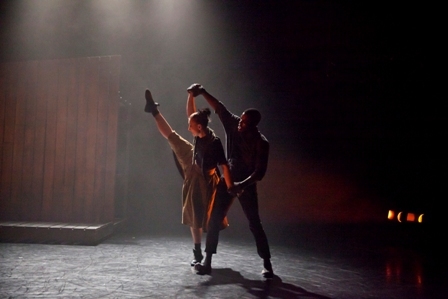 Fagin's Twist is commissioned by Theatre Bristol, East London Dance, Pavilion Dance South West, Dance East and The Place, and co-produced by The Place. The production has been supported using public funding by the National Lottery through Arts Council England. Tickets cost £12 and can be booked on 0844 338 5000 or from the Birmingham Hippodrome website.